Improve the Handling of your Audi drastically by adding a set of Hotchkis Sport Suspension Sway Bars. The Hotchkis Sway Bars will further improve the cornering of the vehicle by greatly reducing the amount of body roll. By keeping the vehicle flatter in the turns the Hotchkis Sway Bars give the car a crisp, and quick turn-in response, and more balanced handling. The dreaded under steer associated with the Audis is suddenly gone, as the car takes on a more neutral feel. 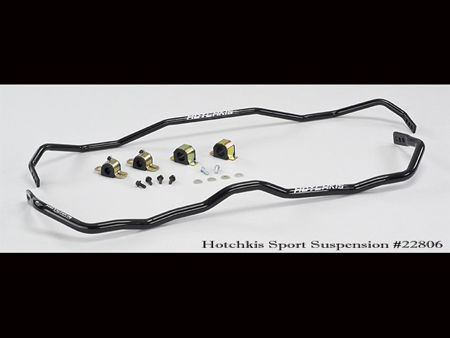 Greatly improve your TT's handling with a set of Hotchkis Front and Rear Sway Bars.